Development requires a lot of disciple right from following the concepts of UI/ UX to the way the coding is done. We religiously work on using the best practices followed in the industry and merging with the disciples for both the sectors to deliver a stellar experience and also ease of use to your website visitors. It no longer is an HTML with km of code. Today choosing the right plugin, the minimalistic CSS, and the proper colour code to get the website and the web application to function just right! We work with you and your organisation team to understand the passion you deliver when you speak about your business. We extract the juice on the drawing board and using various colours driven from your various passion graphs to formulate an artistic yet discipline design. This design is then recrafted with buttons, image placeholders, call to action buttons and the required ingredients showcasing a beautiful representation of your website. Our Goal is to translate your ideas into wonderful web designs that your customers will simply love. We strongly believe that quality, user experience, and the power of remarkable web engine can shape and enforce your businesses. Our websites and apps allow you to improve engagement, add value for your customers, build brand recognition and gain customer loyalty. Our designers and developers treat their work as a craft, not task and take pride in creating designs and applications that make a difference. From planning to coding and implementing, our all-star web development team is constantly working on projects that build a reputation and deliver useful information. Ideas, images, words, architecture – these are the ingredients of a remarkable online presence and the creative concept of any website. Our Design team is passionate about developing engaging mobile apps focusing on creating the user experience and functionality they require to represent every business and user. Our developers specialise creating websites through intelligent technology solutions, clean coding, programming, CRM/CMS integration on all platforms and user-friendly interfaces compatible with every kind of device or platform. We do cross-browser testing, as well as functional testing to make sure every feature of your website or application works properly before the big launch. We always make sure that your application is intuitive, easy to use, and serves your users in the way you need it to. Our apps are business-driven, user-focused, and highly innovative. 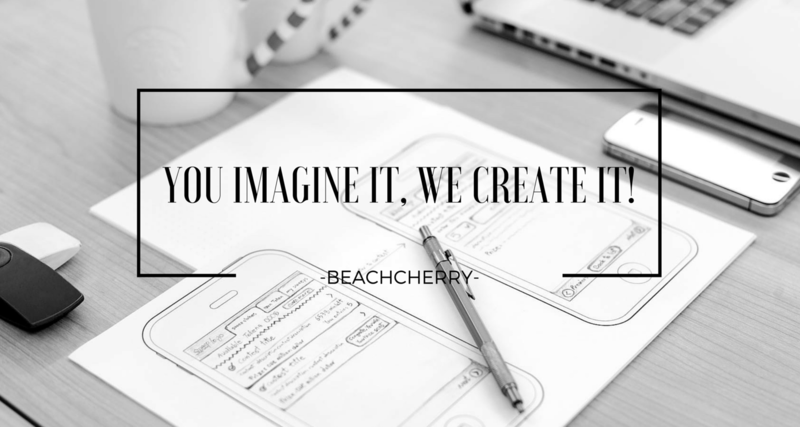 Beachcherry’s open source content management system (CMS) of choice is WordPress. This software is the star of all the CMS available at this point. Developing with WordPress allows us to give our clients countless solutions within every budget. We are experts in creating and developing custom WordPress themes and complex interfaces designed to showcase your business while increasing your return on investment. Let’s talk about your great idea!